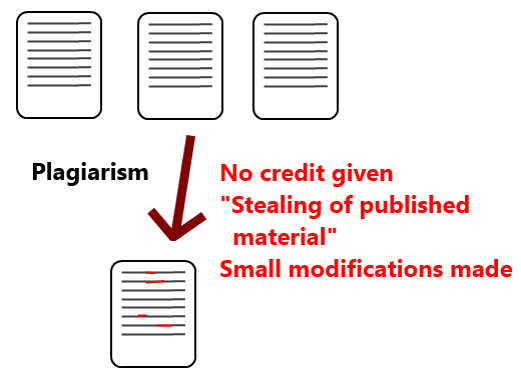 Using an image, video or music in a work you have produced without receiving proper permission or providing appropriate citation is plagiarism. 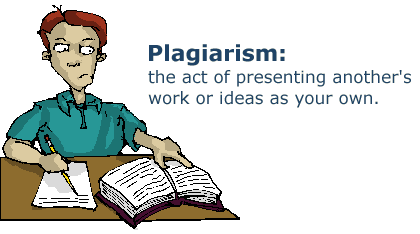 - Copying media (especially images) from other websites to paste them into your own papers or websites. - Making a video using footage from others’ videos or using copyrighted music as part of the soundtrack. - Performing another person’s copyrighted music (i.e., playing a cover). - Composing a piece of music that borrows heavily from another composition. - Re-creating a visual work in a different medium (for example: making a painting that closely resembles another person’s photograph). 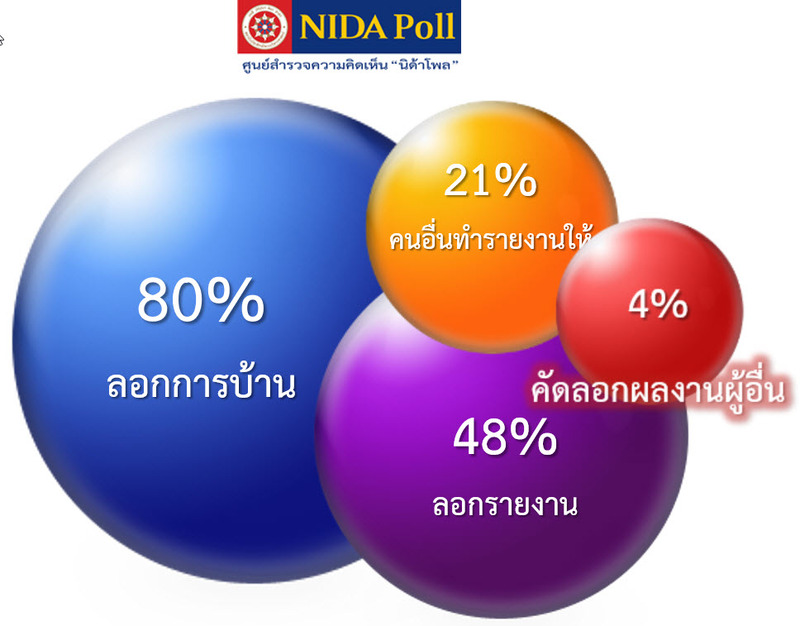 นิด้าโพลได้สำรวจนิสิต นักศึกษา จำนวน 5,654 จาก 23 มหาวิทยาลัยที่เป็นสมาชิก ทปอ.